On a bullcrap indecisive monday of April which wakes up so wonderfully, and then decides to lock itself in the bathroom and listen to Travis through JVC headphones for the entire duration of the houseparty, i thought it fitting to hit you fools up with some information about dolphins. Head trainer Teri Turner Bolton looks out at two young adult male dolphins, Hector and Han, whose beaks, or rostra, are poking above the water as they eagerly await a command. 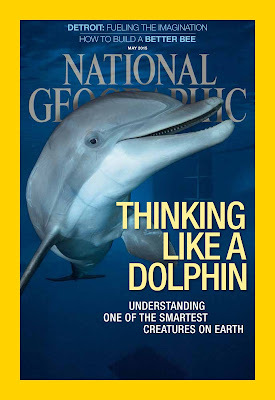 The bottlenose dolphins at (some weird Marine Science Institute, acronym RIMS) a resort and research institution on an island off the coast of Honduras, are old pros at dolphin performance art. They've been trained to corkscrew through the air on command, skate backward across the surface of the water while standing upright on their tails, and wave their pectoral fins at the tourists who arrive several times a week on cruise ships. But the scientists at RIMS are more interested in how the dolphins think than in what they can do. When given the hand signal to "innovate", Hector and Han know to dip below the surface and blow a bubble, or vault out of the water, or dive down to the ocean floor, or perform any of the dozen or so manoeuvres in their repertoire - but not to repeat anything they've already done during that session. Incredibly, they usually understand that they're supposed to keep trying some new behaviour each session. Bolton presses her palms together over her head, the signal to innovate, and then puts her fists together, the sign for "tandem". With those two gestures she has instructed the dolphins to show her a behaviour she hasn't seen during the session, and to do it in unison. Hector and Han disappear beneath the surface. With them is a comparative psychologist named Stan Kuczaj, wearing a wet suit and snorkel gear and carrying a large underwater video camera with hydrophones. He records several seconds of audible chirping between Hector and Han, then his camera captures them both slowly rolling over in unison and flapping their tails three times simultaneously. Above the surface Bolton presses her thumbs and middle fingers together, telling the dolphins to keep up this cooperative innovation. And they do. The 400-pound animals sink down, exchange a few more high-pitched whistles, and then simultaneously blow bubbles together. They they pirouette side by side. They they tail walk. After eight nearly perfectly synchronised sequences, the session ends. There are two possible explanations of this remarkable behaviour. 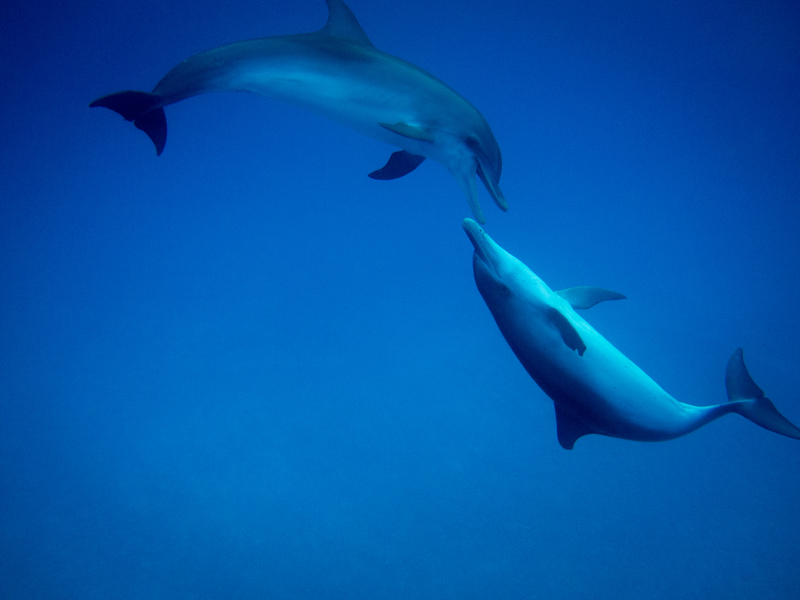 Either one dolphin is mimicking the other so quickly and precisely that the apparent coordination is only an illusion. Or it's not an illusion at all. When they whistle back and forth beneath the surface, they're literally discussing a plan.